Madhumita Roy teaches English literature and carries out her research on literary and cultural texts of the contemporary times. She writes stories inspired by books that have shaped her literary sensibilities and also by observing the Bengali middle-class society around her. She grew up in a well-knit, educated, middle-class family, consisting of her parents and her sister, based out of Kolkata. 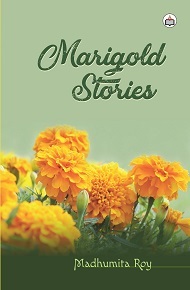 She is a writer mostly because her family has always encouraged her to follow her passions in life. Her husband, also a teacher, is an equally avid supporter of her creative endeavours. At present, she lives in Raipur working as an Assistant Professor at IIT Bhilai. 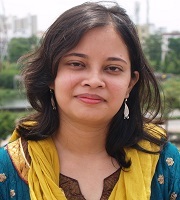 Her short stories and poems have been published in various literary magazines such as Word Riot, Out of Print, Reading Hour, The Bangalore Review, The Indian Review, Brilliant Flash Fiction, Flash Fiction Magazine, and New Asian Writing.Her academic writings have appeared in various national and international journals. She has recently earned her PhD from IIT Kharagpur writing her thesis on Salman Rushdie.